Over 570,000 people are registered in Hockey Canada and over 600,000 in Hockey USA. It’s a national obsession. But what does that really mean when your child wants to play on a team? As a former varsity athlete and university instructor teaching sport literature, novelist Angie Abdou is no stranger to sport obsession, but she finds herself conflicted when faced with the reality of the struggles, joys, and strains of having a child in amateur hockey. 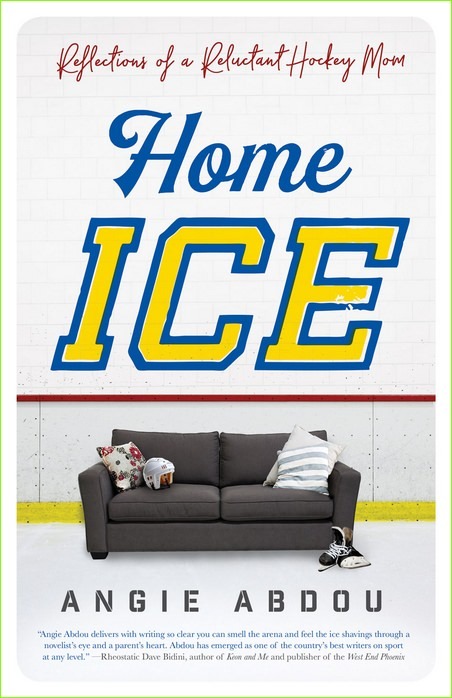 In Home Ice, with equal parts humour and anguish, Abdou charts a full season of life as an Atom-level hockey mom, from summer hockey camp to the end-of-season tournament. Her revealing stories and careful research on issues such as cost, gender bias, concussion, and family pressures offer a compellingly honest and complex insider’s view of parenting today’s young athlete in a competitive and high-pressure culture.